Wellness Coaching is typically a combination of traditional life coaching, lifestyle fitness coaching, green living, sound nutrition, exercise and stress management. 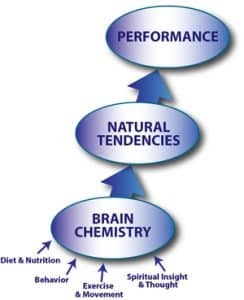 To move beyond that rather dated and generic model and achieve a higher level of wellness, it’s essential to combine three synergistic components: Nutritional health, structural health and spiritual health. When these three areas are integrated and optimal, pursuing your life’s path moves forward day by day, with an increase in stamina, productivity and deep inner peace. My ideal client is fully engaged in pursuing spiritual awakening, while being grounded in this world within a strong, agile, healthy body and a clear mind. When the body and mind are ill, the flow of life current is usually diminished. Increasing your life force or Chi requires you to free yourself from the toxic influences of drugs and alcohol through both intelligent effort and being open to Grace. You can count on me to be there with you through your journey, and I invite you to contact me when you’re ready to commit.